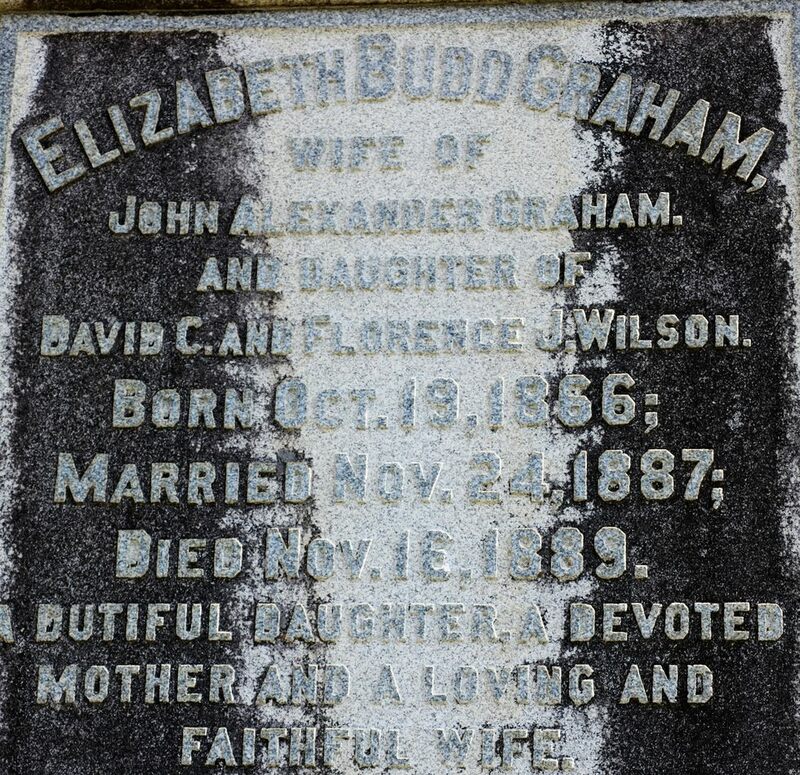 “Bessie” is actually the nickname for Elizabeth Budd-Graham who was only 23 when she died in 1889 leaving behind a husband and two small children. 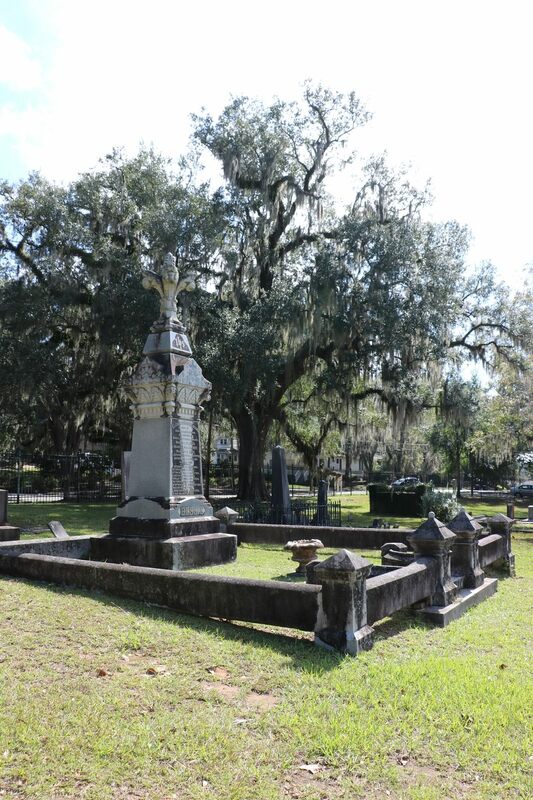 She was laid to rest in one of Tallahassee’s most elaborate tombs, surrounded by a stone wall, large granite vases, a huge monument adorned with sculptured feathers, ivy, and a cross inside of a crown. 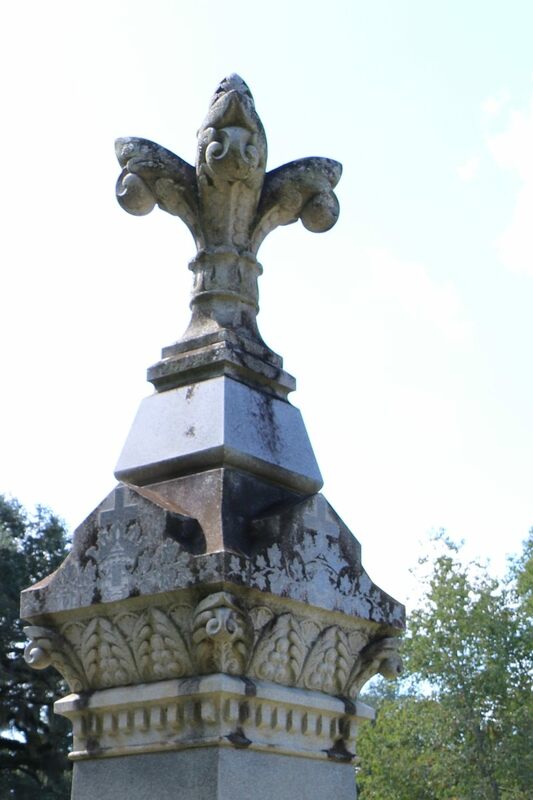 There’s no doubt, this was a most expensive grave for 1889, considering that wooden markers were still common for that time period. 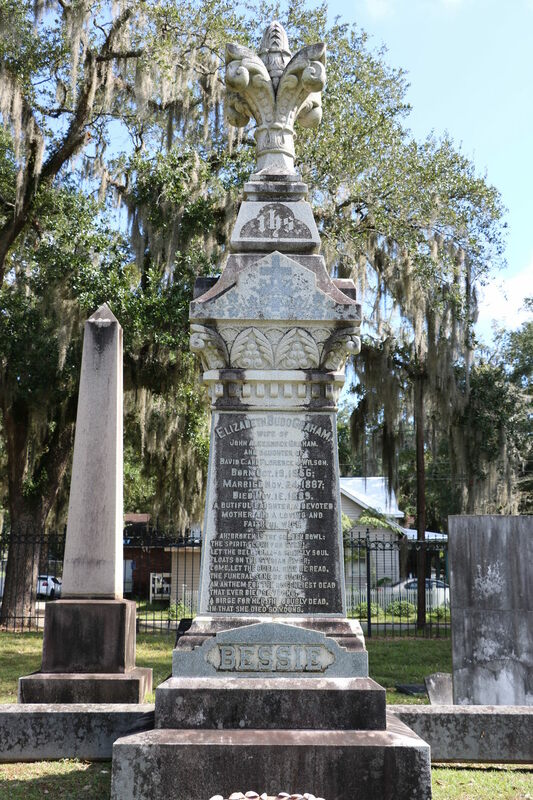 Historians are not sure why Bessie rated such a fancy burial place, or who paid for it, although there’s a traditional yarn about how she bewitched a wealthy man into marrying her and he wanted to commerate her with the most elaborate stone in the cemetery. 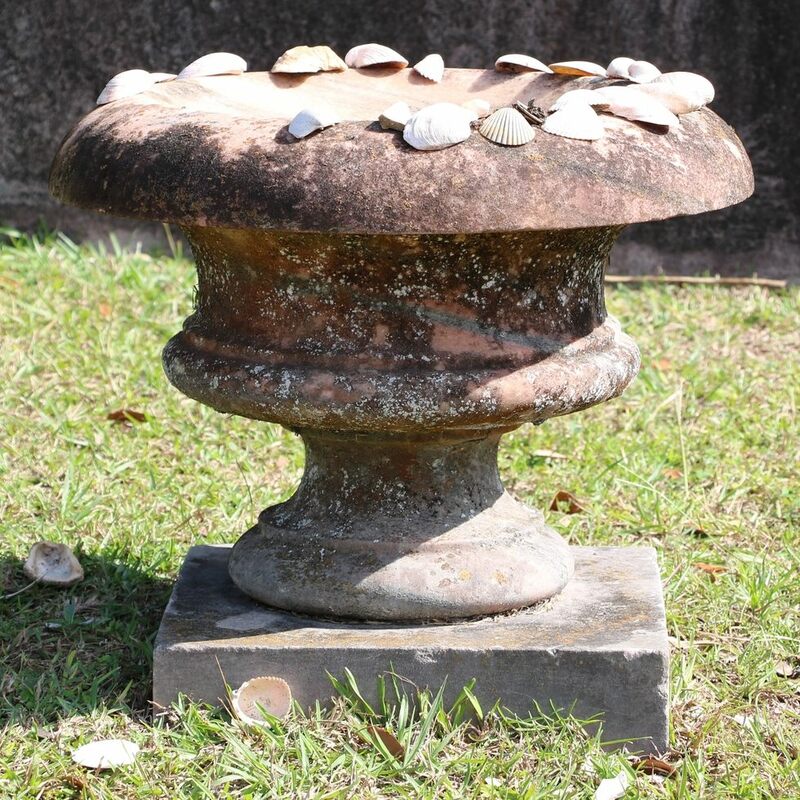 Legend believers have translated a variety of “witch evidence” from the weird epitaph. 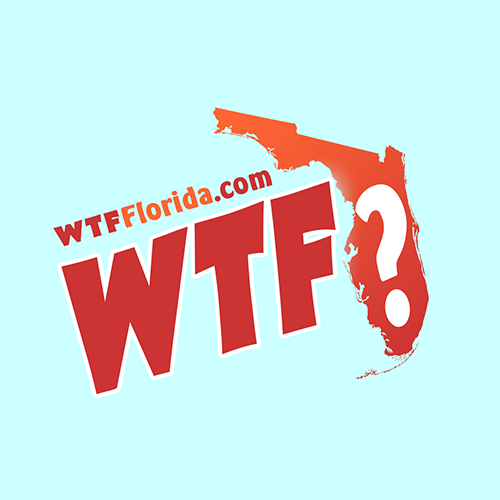 Some equate the first line, “Broken is the bowl,” to driving a stake into a vampire. The lines “the spirit flown forever” and “A saintly soul floats on the Stygian River,” are said to mean that a witch’s spirit cannot cross the river of death and is trapped between life and death. 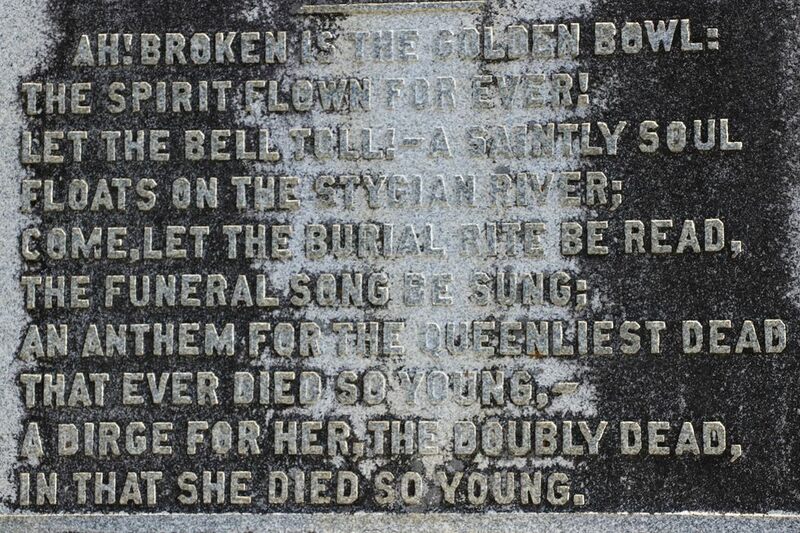 According to practitioners of witchcraft who often visit the grave, the “Stygian River” is the Styx River of Greek mythology, where “Souls of the dead were carried across the River Styx to the lower world.” Others, refer to “…the queenliest dead” as meaning she was the “Queen of the Dead” and that the words “doubly dead” meaning a witch must be killed twice. In spite of all the sinister allegations, my research found no evil in Bessie’s life. Maybe that’s why most people will tell you that she was a “good witch.” It’s more likely that she wasn’t a witch at all. 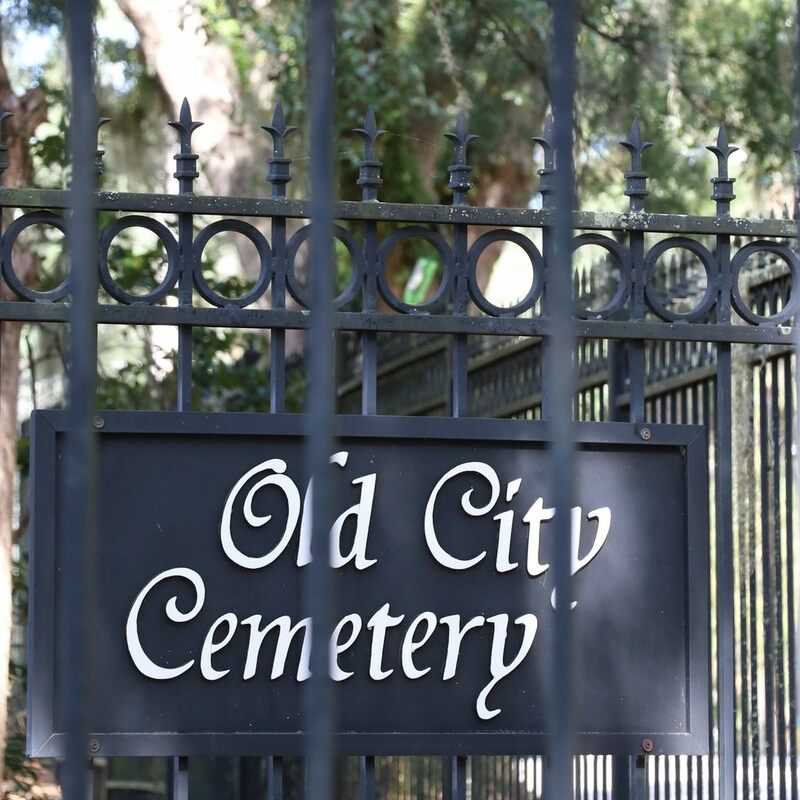 However, one thing is for certain; the strangeness surrounding her burial place has spawned a legend larger than life, and whether fact or fiction, it has kept the spirit of Elizabeth “Bessie” Budd-Graham alive for more than a hundred years.